10 B None No Power Seats 10 B have extra legroom due to the emergency exit. The tray tables are in armrests, making them immovable and slightly reducing seat width. This area can get very cold during flight. 10 C None No Power Seat 10 C has extra legroom due to the emergency exit. 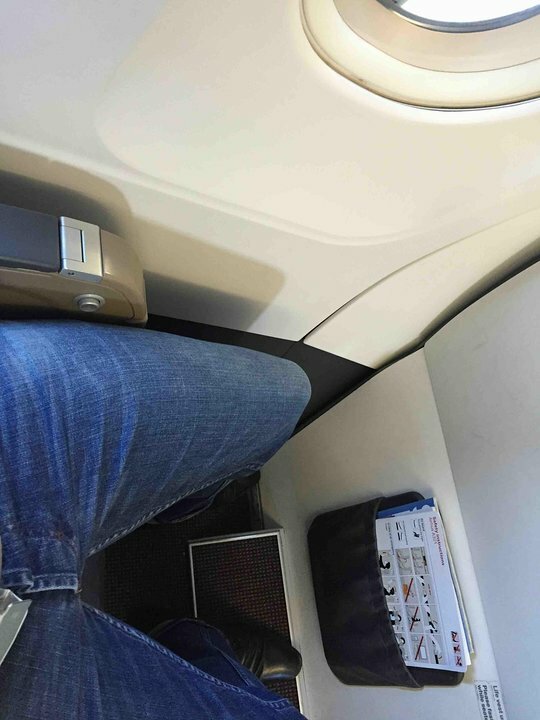 The tray table is in the armrest, making them immovable and slightly reducing seat width. 10 D None No Power Seat 10 D has extra legroom due to the emergency exit. The tray table is in the armrest, making them immovable and slightly reducing seat width. 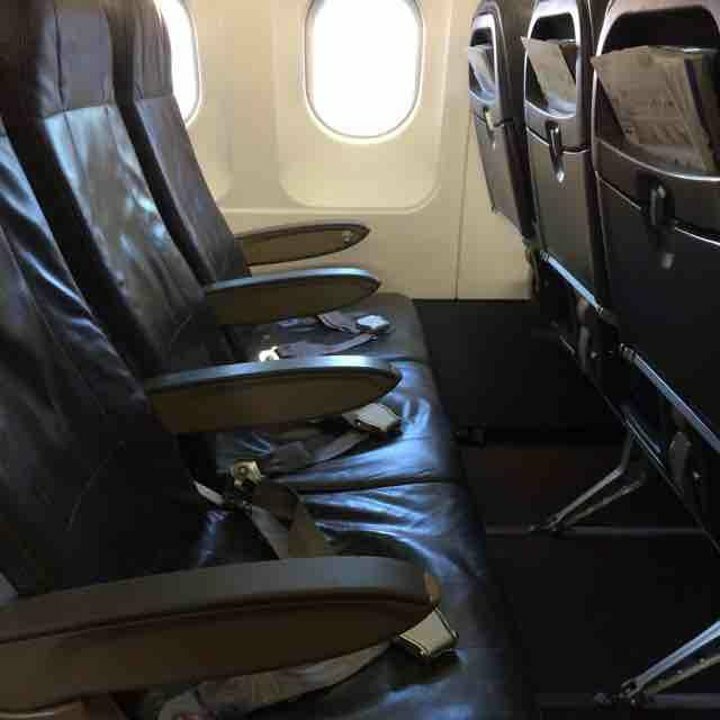 10 E None No Power Seats 10 E have some extra legroom due to the emergency exit. The tray tables are in armrests, making them immovable and slightly reducing seat width. 11 A None No Power Seat 11 A has some extra legroom since there is no seat in front of it. The tray table is in armrest, making the armrest immovable and slightly reducing seat width. 11 F None No Power Seat 11 F has some extra legroom since there is no seat in front of it. The tray table is in armrest, making the armrest immovable and slightly reducing seat width. 24 A None No Power Seat 24 A may have limited recline due to the exit behind. 24 B None No Power Seat 24 B may have limited recline due to the exit behind. 24 C None No Power Seat 24 C may have limited recline due to the exit behind. 24 D None No Power Seat 24 D may have limited recline due to the exit behind. 24 E None No Power Seat 24 E may have limited recline due to the exit behind. 25 B None No Power Seat 25 B has extra legroom due to the emergency exit. The tray table is in the armrest, making them immovable and slightly reducing seat width. 25 C None No Power Seat 25 C has extra legroom due to the emergency exit. The tray table is in the armrest, making them immovable and slightly reducing seat width. 25 D None No Power Seat 25 D has extra legroom due to the emergency exit. The tray table is in the armrest, making them immovable and slightly reducing seat width. 25 E None No Power Seat 25 E has extra legroom due to the emergency exit. The tray table is in the armrest, making them immovable and slightly reducing seat width. 26 F None No Power Seat 26 F has some extra legroom since there is no seat in front of it. The tray table is in armrest, making the armrest immovable and slightly reducing seat width. 36 C None No Power Seat 36 C is a standard economy class seat. The proximity to the lavatory may be bothersome. 36 D None No Power Seat 36 D is located in the last row of Economy Class and has no recline. Proximity to the lavatory and galley may be bothersome. 36 E None No Power Seat 36 E is located in the last row of Economy Class and has no recline. Proximity to the lavatory and galley may be bothersome. 36 F None No Power Seat 36 F is located in the last row of Economy Class and has no recline. Proximity to the lavatory and galley may be bothersome. 37 A None No Power Seat 37 A is located in the last row of Economy Class and has no recline. Proximity to the lavatory and galley may be bothersome. 37 B None No Power Seat 37 B is located in the last row of Economy Class and has no recline. Proximity to the lavatory and galley may be bothersome. 37 C None No Power Seat 37 C is located in the last row of Economy Class and has no recline. Proximity to the lavatory and galley may be bothersome. 9 A None No Power Seat 9 A may have limited recline due to the exit behind. Also, this seat has a misaligned window. 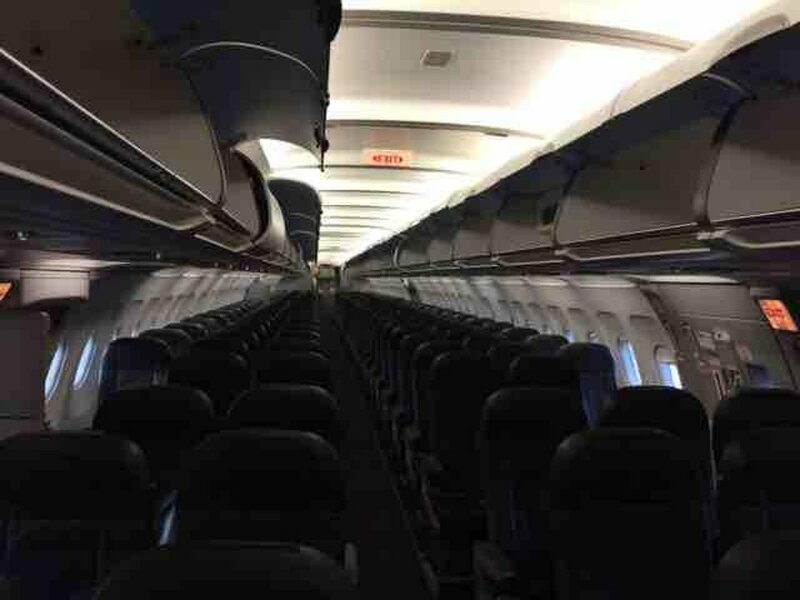 9 E None No Power Seats 9 E may have limited recline due to the exit behind. This Airbus A321 aircraft operates with 176-200 seats and a cargo capacity of 4.3 tonnes. 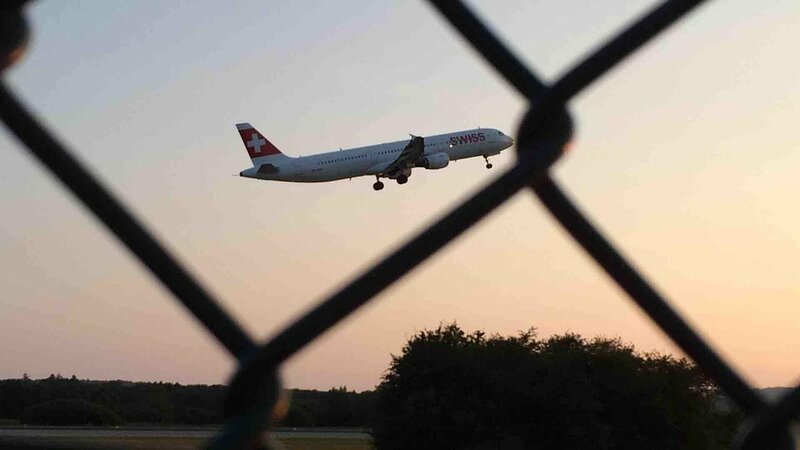 Swiss uses this Airbus A321 on European routes and between Switzerland, North Africa, and the Middle East. The Business Class offers passengers more space since the middle seat is not being sold and thus remains free. Cramped. 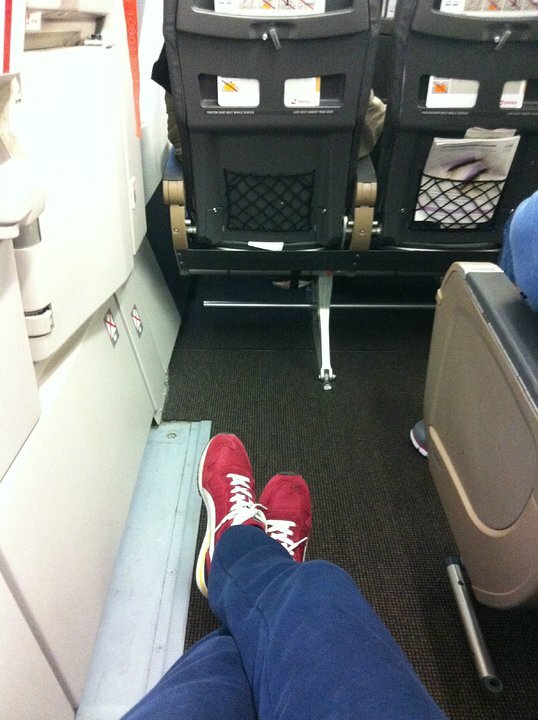 Little legroom. Excellent service. A very good cold meal. Ask for a pillow. Better still - ask for two. The seats are VERY hard. Reasonable seating, efficient flight attendants. However Swiss at late (June/July 2017) changes your seat last minute so even if you book it early don't be surprised if you get pushed around into some middle or window seat. You can change it again at time of check-in, but then your choice becomes limited to "what's left" (on previous flight last row, no reclining with full audio on toilet). overhead TV is just in front of this row - good view. The seating on Swiss flights is very comfortable. For years they have been using a swedish design which eliminates a lot of metalwork and cleverly puts the magazine rack at the top of the seat, leaqving much more room for legs. Always immaculately clean and well organised like all Star Alliance flights. ZRH-IST. Cabin was very tired, definitely needed a refit in short order. The flight was 2/3 empty so I had a row to myself which was great, the armrests do swing up so one can really stretch out. Though it would probably be feel cramped on a full flight. Cabin crew was very smooth and professional, though not exactly personable.